Protecting Australian rock bands means protecting all those cardboard boxes of vinyl, fliers, posters, magazines, fan scrapbooks, fan club letters and the rest. That’s the precious past. From Ayers Rock to Solid Rock by Goanna it has to be preserved. Indigenous music has to be preserved. Tours by bands like Nirvana, from Sydney to Melbourne, changed Australian music. Those cassette tapes need to be protected. The future of Australian rock bands depends on drawing from the past. If anyone is going to stand on the shoulders of giants (to quote Oasis), though, those giants also have to be helped. The hard fact is, the Australian music industry must often turn to Support Act for financial help for artists in need. Benefit concerts are not unusual. The story of Stevie Wright affected the whole country, as did the story of Doc Neeson. Australian rock 1950-2010 has buried treasure which can sometimes be missed. Fortunately, this is where the worldwide web can step in – and particularly YouTube. Websites dedicated to protecting, preserving and promoting the buried treasure are one way through. 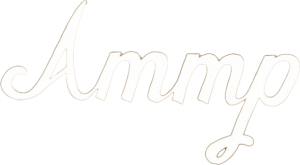 AMMP is one of those websites. Australian rock can be threatened by many things. Free downloading of music is the worst offender. Lack of proper state and federal government funding is another. It’s the people’s culture and the people’s history – but opera has often taken the funding, both corporate and political. The National Film and Sound Archive recorded this interview with Don Walker about the importance of preserving our music history. AMMP has been set up partly to try and uncover the buried treasure in Australian rock. Rock in Australia is visible on the surface through current success stories like AC/DC but what lies beneath? Rock’n’roll is as much a part of Australia as Uluru or The Great Barrier Reef. It must be conserved, no matter what. AMMP acknowledges the traditional Aboriginal and Torres Strait Islander owners of country throughout Australia and pays our respects to them, their culture and their Elders past, present and future.